The start of U4 subway´ services – the line was not foreseen in the original Masterplan – to Überseequartier station in December 2012, therefore, represented a major new link in the public transport chain. Since then regular services have connected HafenCity directly to Jungfernstieg and the central station. In August 2013, services to the HafenCity University station followed. Two months earlier the ground-breaking ceremony for the extension of the U4 through to the Elbe bridges took place. The U4 subway extension, whose 1.3 kilometers mostly run underground, have already been completed. Since the end of 2018 the above-ground Elbbrücken station is in operation. Because it will be linked during 2019 by a glazed pedestrian bridge with another rapid transit (S-Bahn) station, also new, a new public transport junction will be created. 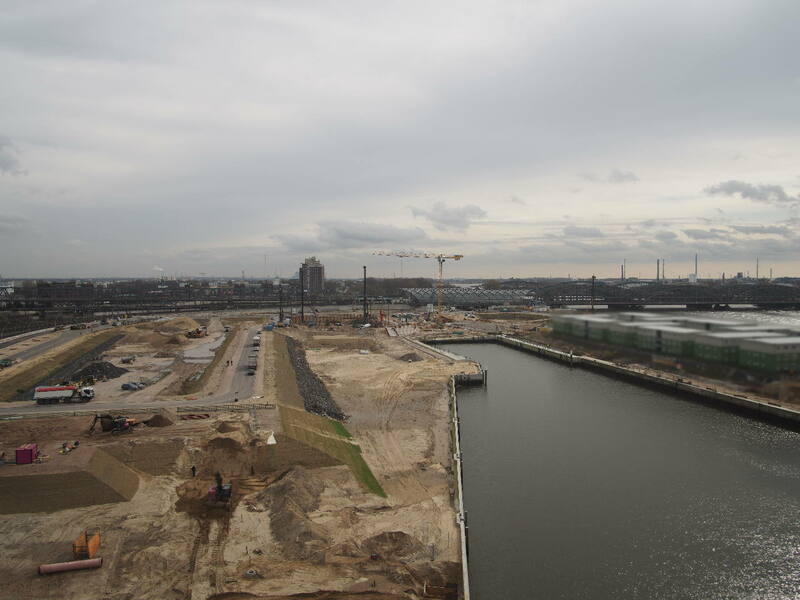 Planning and construction of the complex infrastructure projects (except on private land) is the responsibility of the developer, city-owned HafenCity Hamburg GmbH. Financing is covered exclusively by sales of land in the planning zone. However, the new U4 is an exception: it has been planned and realized by Hamburger Hochbahn AG, comes out of budgetary funds of the Free and Hanseatic City of Hamburg as well as federal subsidies. The cost of external access to HafenCity, the planned reconstruction of Deichtorplatz, as well as bridges to be built between HafenCity and other city neighborhoods, is also financed out of Hamburg’s state budget.